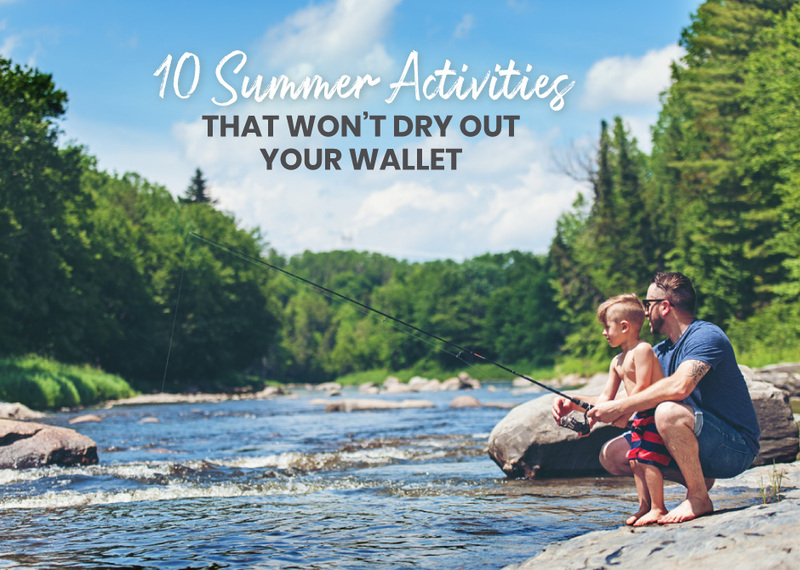 Between buying season passes to that waterpark, financing your family vacay and making it rain every time the dreaded ice cream truck drives by, the only thing drier than this summer is what it’s done to your bank account. Fortunately, our resident lifestyle gurus are all about making memories that will shatter your expectations without breaking the bank. Lace up your hiking boots and explore the unique ecosystems and character of your local national parks. Not only will you get to endure the majesty of nature—you’ll also steal some great content for your Insta. Fuel your outdoor adventure with a nutrient-dense trail mix consisting of sugar-free dried fruits, unsalted cashews, almonds, pumpkin seeds, air-popped popcorn, and sunflower seeds. Enroll your kiddo in a local summer reading program to help them practice their reading skills and make time for you to get caught up on the Bestseller List. Swipe your library card as many times as you like; your bank account won’t feel a thing. Grab a few blankets, bed sheets, pillows, and chairs for a DIY evening of films and forts your whole family will love. Add to the magic with snacks themed to the outdoors, like ants on a log: celery topped with peanut butter and raisins! Are You Fun, Frugal, and Fabulous? Download your copy of our quarterly guide for more lifestyle tips! Happy + Nourished brings you features on fitness, wellness and lifestyle, in addition to food and nutrition trends throughout the year. Get the latest health and wellness buzz from Happy+ Nourished!